﻿The Dubuque Regional Humane Society (DRHS) is so much more than an animal shelter. It is an animal resource center that delivers upon the mission of protecting and promoting the well-being of companion animals by building life-long bonds between pets and people through adoption, humane education, community outreach, and the prevention of cruelty. 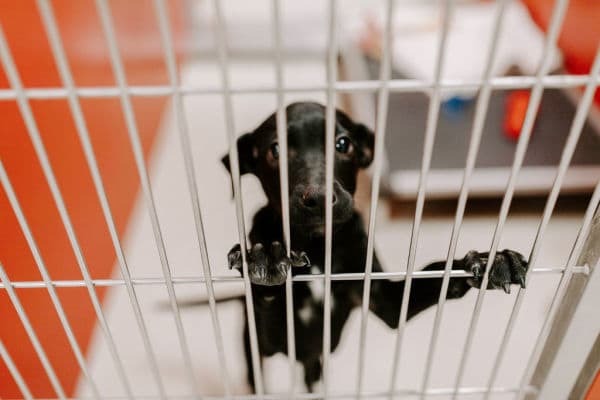 Operating as a 501(c)3 non-profit, open admission, no-kill shelter the DRHS provides critical medical and behavioral interventions and compassionate care for over 2,700 animals annually that are lost, abandoned, surrendered by owners, or rescued from neglect. Our commitment, in tandem with our community, which spans three counties in three states and backs our mission, creates pathways to new homes and brighter futures for 100% of the healthy, safe and treatable animals in our care. We could not be more thankful for the thousands of people each year who choose to complete their family with an animal from the DRHS! Community leaders have been thrown "In the Doghouse," but for a great cause! They will be fundraising during the month of March for the over 2,700 homeless companion animals at the Dubuque Regional Humane Society (DRHS). These leaders have devoted their time and talents to raising money for their "Impound Fees." The gifts received will contribute to not only getting these leaders out of the doghouse but delivers the hope of routine treatments, compassionate care, and bright futures for the companion animals awaiting new families at the DRHS.